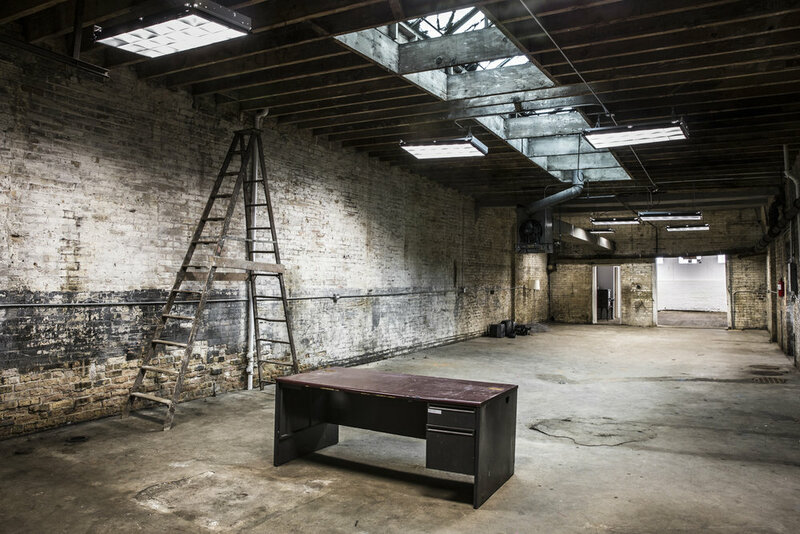 Discerning directors, photographers, event planners and other creative professionals have chosen to utilize our space for its raw canvas and easily accessible location. Will you be next? Pull into the west warehouse via garage door access. Skylights provide a vast, open feel. The East Warehouse has gorgeous skylights that let in a milky green atmospheric light unique to our space. Two permanent art exhibits are house here as well. Can you find them? White-walled and wood-floored, the gallery serves as a lovely place to create, or as a craft services area.